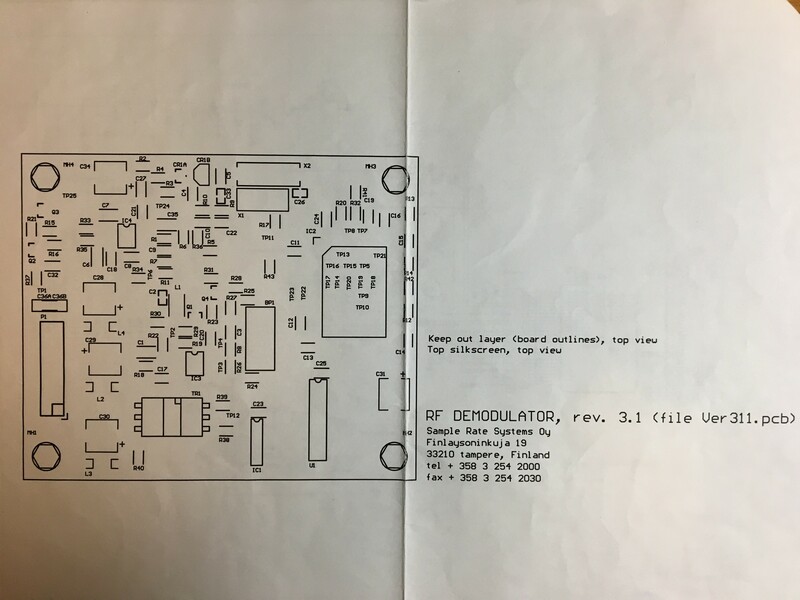 Does anyone have datasheet for the PM4007A used in all the demodulators? That would denote a Pioneer chip and, if used internally, Pioneer was not famous for publishing specs and datasheets. Same things for their DACs. 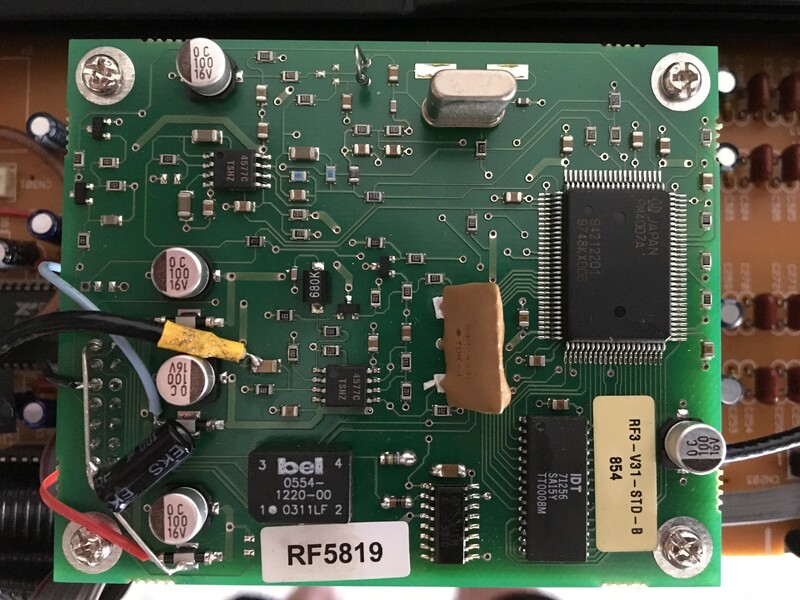 There has to be someone that has the datasheet it was used in all kinds of small boutique companies AC3 RF demodulation equipment. What is the cheapest possible available equipment where I could find one of these chips in ? There has to be some obsolete receiver or processor that came with one of these ? You don’t really need a full data sheet to implement it but I would assume that if you bought a bunch of chips from Pioneer BITD they would have come with some info on how to use them. AFAIK there is one demod chip that is the same in every RF demodulator, receiver, surround processor, etc. You just need to feed it the right thing and it will put out the right thing. The most expensive way to get one seems to be the more basic standalone demods, especially the ones with pass through. The cheapest is probably a mediocre Yamaha receiver or something like the ADP303 from Harmon Karden since the HDMI generation has no clue what to do with it. Those can be modified to have a standard TOSLINK out although I’ve ever done it. 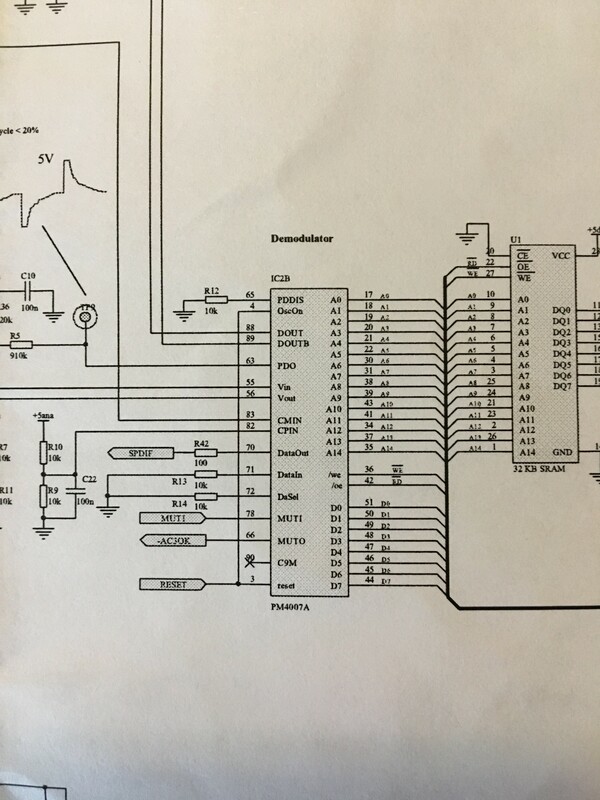 This is a partial pic of the Sample Rate Systems AC3-RF Demodulator schematic showing the pin out of the PM-4007A. Last edited by ldfan on 15 May 2018, 05:38, edited 1 time in total. 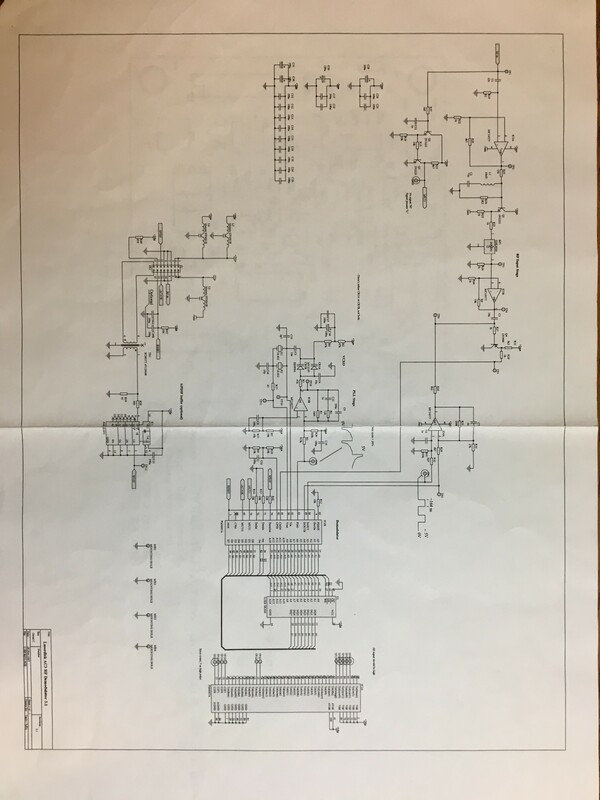 No it doesn't help because the picture is missing, I bought a Marantz 870 something with AC3RF capability for $9 now i will try and breadboard the circuit from Pioneer service manual. Probably make a proper PCB as well in due time. Amazing how complicated it really is to convert AC3-RF to S/PDIF. Didn’t really think about what all the legs of the PM-4007A were used for.